If you come to La Brizna, our advice is to let yourselves get swept away by it’s tranquil rhythm. If you feel like taking a trip to some more urban áreas, you can visit the neighbouring town ,Guadalupe, where the Stone streets and tradicional architecture are home to monuments like the Monasterial Sanctuary of our lady of Guadalupe – a world heritage site. Another option is to take a stroll between the churches, castles and mansions of nearby Trujillo,a town renowned for being the birthplace of some of the people associated with the discovery of the Americas in the sixteenth century. 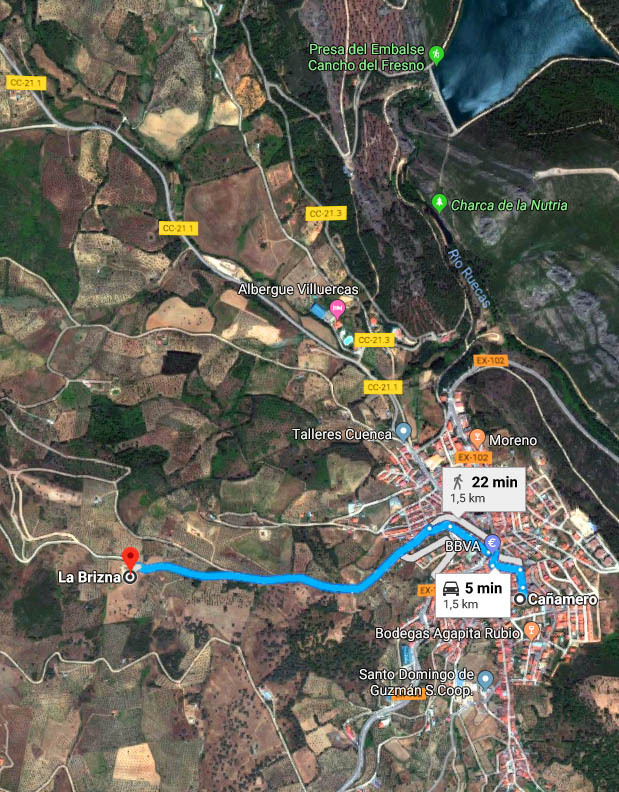 Similarly, Trujillo is found on the Conquestors Route which passes by other locations such as; Medelin, Villanueva de la Serena and Jerez de los Caballeros.